Sterling silver drop earrings by Lab33. 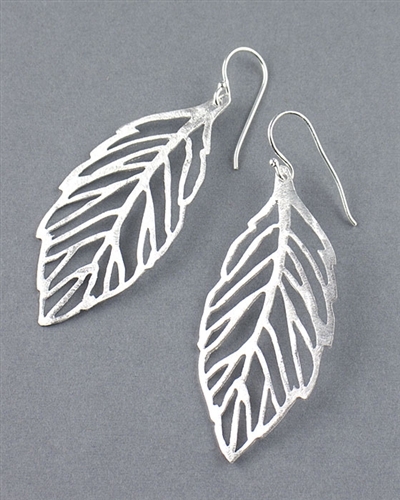 This stylish pair of earrings features a filigree leaf design and measures 52x26mm. Earrings drop 6.1cm (2.4") and are for pierced earrings. A unique pair of Designer earrings can be worn all day and also makes a wonderful gift. Exclusively in the UK from the Farfallina.net Jewellery Boutique. Length: 6.1cm / 2.4 "